The Online Marketing Summit is an event truly focused on the attendees. OMS strives to provide education in many different forms, from experts to thought leaders within the online marketing industry. The topics covered at this year’s conference range from Social Media Strategy, SEO, Email Marketing, Content Management, to Integrated Marketing. At this years conference TopRank CEO Lee Odden will be giving a solo presentation titled “Optimize This: Integrating Social, SEO, & Content” and co-presenting a session titled “The Convergence of Search, Social, & Content Marketing”. Want to learn more? As the online marketplace evolves and becomes increasingly competitive, marketers around the world are searching for advantages that can increase their efficiencies, and improve the performance of online marketing efforts. Many companies are implementing Content Marketing, SEO and Social Media programs but few are integrating them or coordinating optimized and socialized content across the organization. This session will provide a valuable perspective, roadmap and tactical mix for integrating Content Marketing, SEO and Social Media in ways that you can implement today. What makes great content? Content does not become great until your audience finds it, reads it, and shares it. Curious to know what you can do to increase your odds of being found in both Search and Social Media? This session featuring Lee Odden and Arnie Kuenn will present an approach to content optimization that emphasizes the convergence of Search, Social Media and Content. Lee and Arnie will provide step-by-step advice and examples that can be applied by an organization of any size to increase relevant website and social media traffic. 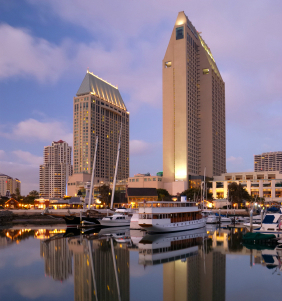 We hope to see you all at the Online Marketing Summit and SES Accelerator in San Diego next week. Be sure to follow the conference buzz on Twitter under the hashtag: #OMS12. If you’re interested in learning more about the specific sessions or workshops be sure to visit the Schedule page on the OMS website or the Agenda on the SES Accelerator site. TopRank will be live blogging, Tweeting and networking at the event of course and can find us on Twitter at: @LeeOdden or @AZeckman. Looking for some interesting things to do while you’re in San Diego? I found this great list of “25 Fun & Free Things to Do in San Diego.” Also, I don’t know if there are any other “Top Chef” fans out there but I have heard a lot of great things about Chef Brain Malarkey’s restaurant Searsucker and it’s less than a mile from the conference. Hope to see you all there!